Buy bumper cars for sale in Australia from Beston Group. There are many types of bumper cars for sale in Beston Amusement which is popular in Australia. We has exported many sets of bumper cars to Australia these days. 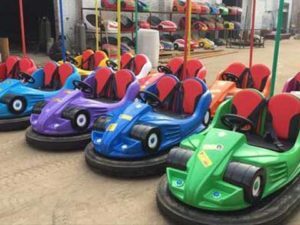 Bumper cars, also called dodgems, is a kind of popular ride in our factory and really widely used in large amusement parks. They could draw power from the floor or ceiling or even use batteries. They could be controlled by an operator remotely. We provide quality bumper cars with cheap price and safety shipping terms for the goods. Electric bumper cars mainly refers to the ceiling grid and ground grid bumper cars. Ground grid and ceiling grid electric bumper cars are popular in Australia and they mainly draw power from the floor or ceiling and turned on and off by the same operator. Little riders could drive the car to other people’s cars and enjoy the joy. They are popular used in the amusement parks, shopping centers, theme parks, large squares and other places. These electric bumper cars should be used on specific arena. When people need to purchase these bumper cars, they need to buy the floor for these cars. This is different from the battery bumper cars. 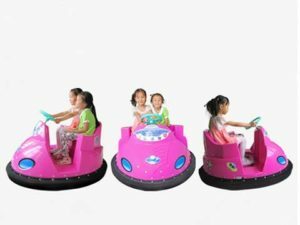 Battery operated bumper car is powered by batteries which is laid inside the car. The batteries of these bumper car are rechargeable or dischargeable. When you need not to use them, you could charge them for about 6-8 hours and in the day, they will be used for long time. 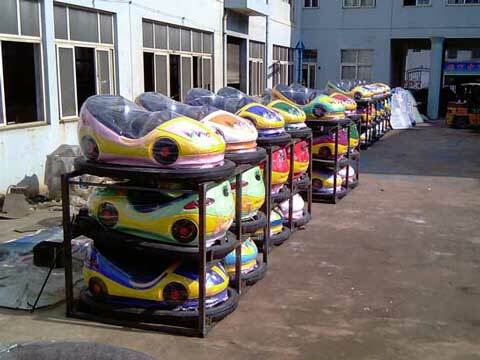 There are several types of kids bumper cars for sale in our factory. Kids love novel things, so bumper cars usually made up of different features, animals or other cartoon. They are attractive to kids. At the same time , kids bumper cars are small, there is one seat on the bumper car, this is different from the adults bumper cars. Ice bumper cars mean the bumper car could works on the ice. Our bumper cars is made up of a big rubber tube, we also call them the inflatable bumper cars. Players will sit in the middle of the bumper car and glides on the ice. There are two handles on each side of the car, so people could easily control these cars on the ice. These inflatable ice bumper cars could perform 360 degree rapid spin. 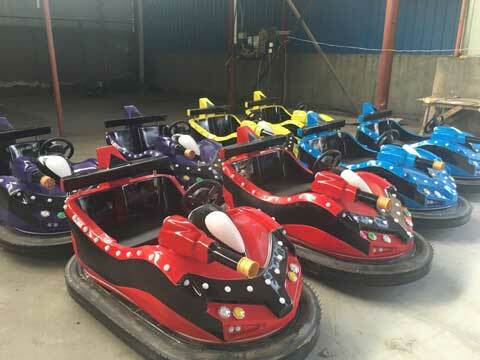 Adults bumper cars in our factory that exported to Australia usually bigger than the kids bumper cars, different from the kids bumper car, adults bumper cars usually have 2 seats or if there is one seat, the seat will be large. Beston amusement, as a large amusement rides manufacturer in China, will provide all kinds of quality bumper cars rides with cheap prices. We have our factory and large warehouses. Beston is a large amusement rides manufacturer. We had exported many sets of bumper cars and other large amusement rides to Australia these days. How do Bumper Cars Work? There are mainly three types of bumper cars that powered by electricity, and there also three supplying systems in these three bumper cars. They are ceiling grid bumper cars, floor grid bumper cars and battery operated bumper cars. For ceiling grid bumper cars, they draw current from the ceiling grid through a hot rod and the current drives a motor in the bumper car’s body. Once the motor is activated, it will drives the bumper car wheels to rotate through a belt. 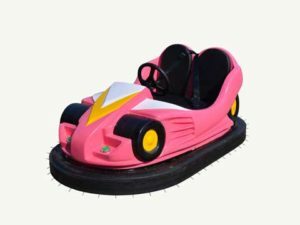 For floor grid bumper cars, they draw power from the conductive floor, conductive brushes under bumper cars will setting properly to cover any two strips mounted opposite polar. Then this will promise to form a complete the circuit. For battery powered bumper cars, they are operated by batteries inside the bumper car, the batteries are rechargeable and dischargeable. When the switch is on, the devices in the bumper car will forms a complete circuit. This is how do these three types of bumper cars work! Looking for new bumper cars for your funfairs in Australia? Contact Us Now for price lists!